On July 27, 1927, the Companions of Nashville Council No. 1, Royal and Select Masons, gathered on the southeast corner of the Tennessee state capitol grounds in downtown Nashville to commemorate the 100th anniversary of the council’s founding. 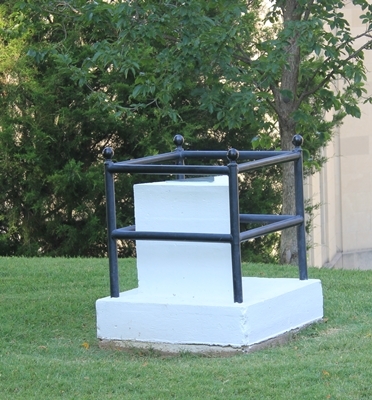 Thanks to a joint resolution of the Tennessee General Assembly, they were able to mark the anniversary by burying a time capsule to be opened by the members of Nashville Council No. 1 100 years later, on July 27, 2027. The time capsule was buried in a crypt and a triangular column was erected over it, with a copper plate on top telling the world what was inside and when it would be opened. The same Companions who buried the time capsule wrote the script for a ceremony to be held every year on July 27 until the crypt is opened. It was their way of crossing the generations to continue the bond of brotherly love that is a hallmark of our fraternity. 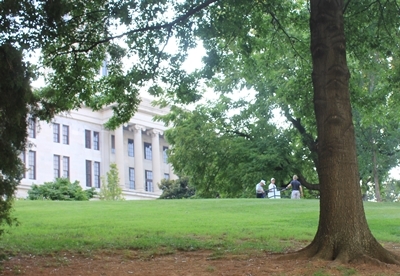 Eighty-eight years later, I was among the dozen or so Companions of Nashville Council No. 1, Royal and Select Masons, to mark the occasion with a short ceremony this evening at the crypt. The quiet, elegant ceremony has been held every year. Generations of Masons have come and gone but the fellowship has endured, as tonight we noted their undertaking and sang songs of patriotism and fraternity from another time. I hope that I am around in 12 years when we open the crypt. According to news stories from the time, they included pictures of the members, several Masonic items and a variety of seeds, including wheat, corn, rye, oats, barley and tobacco. They put everything in a copper box and filled the void with coal tar to keep out moisture and the elements. Inside the box, the seeds were hermetically sealed. There’s supposed to be a note inside, too, asking that the seeds be planted whenever they are unsealed. I can’t wait to harvest some of that corn one day. 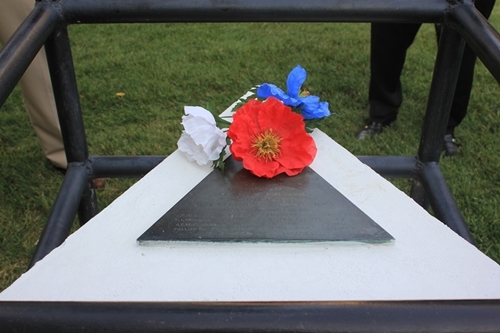 A red, white and blue flower honor the Companions of Nashville Council No. 1, Royal and Select Masons of generations past. On a recent tour of the Jack Daniel’s distillery, a friend and I uncovered a major incident of industrial espionage. Wild turkeys at JD. You be the judge. 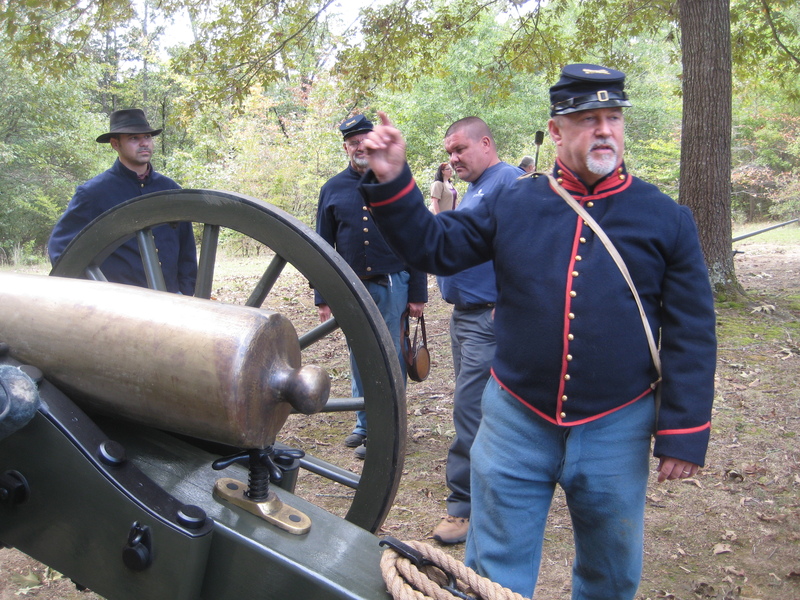 A couple or three coonasses came to Tennessee this past weekend to show visitors to Shiloh National Battlefield how artillery units operated at the Battle of Shiloh in April 1862. 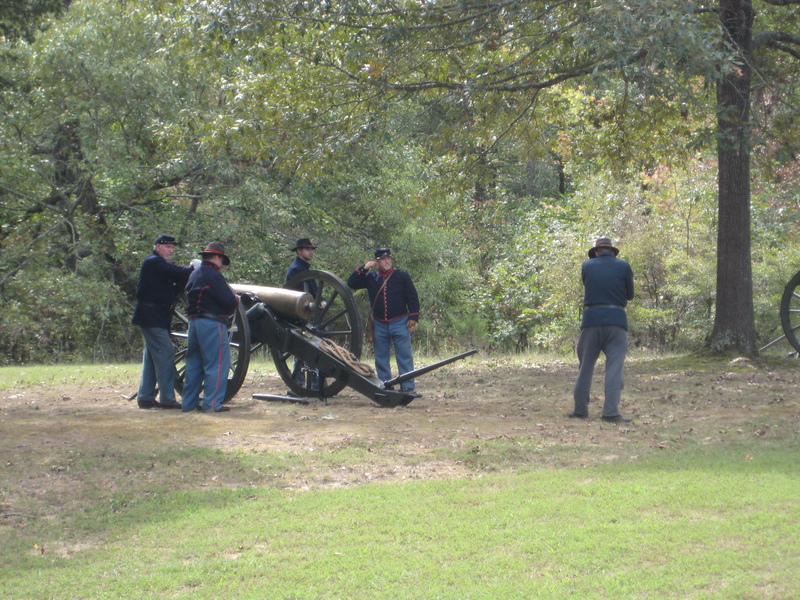 The cannon in this picture belongs to Johnny Authement of Houma, La. Denis Gaubert of Thibodaux and David Beaudry of Houma were also part of the team. Johnny, Denis and David have been Civil War re-enactors for several years. Two years ago, Johnny wanted a change of pace, so he had a replica Union cannon cast and named it Big Al. Johnny takes Big Al to a variety of events, usually about 8 times a year. The season usually kicks off each March at the Edward Douglas White Home near Thibodaux. 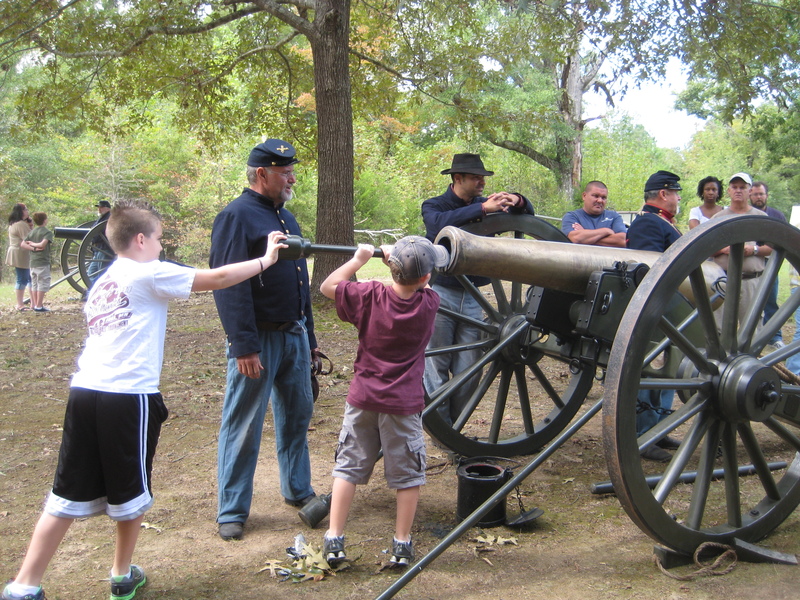 Johnny Authement looks on as two kids get a hands-on demonstration of how to clean the gun bore. Denis Gaubert explains his role on the artillery team. 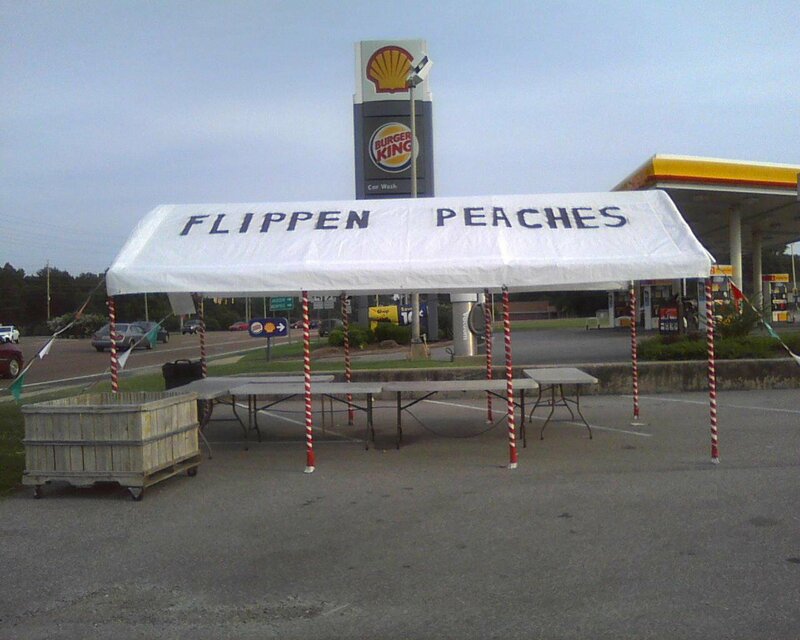 There aren't any Flippen Peaches! 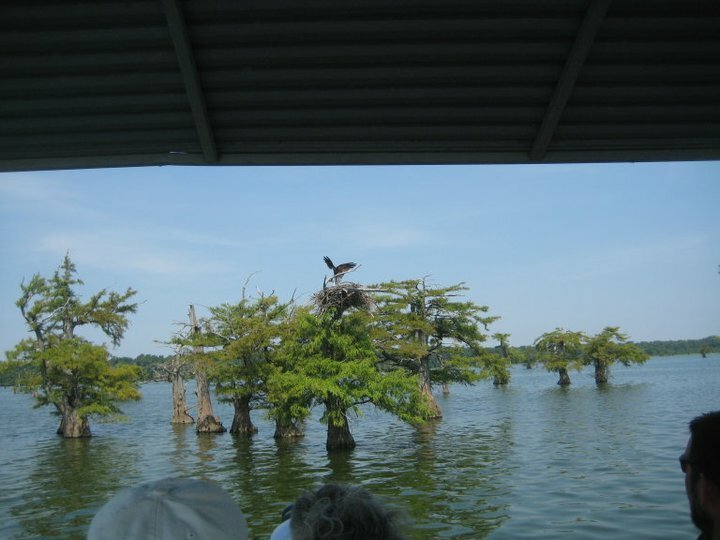 Reelfoot Lake in northwestern Tennessee is about as close to being in Louisiana as I have ever been in Tennessee. 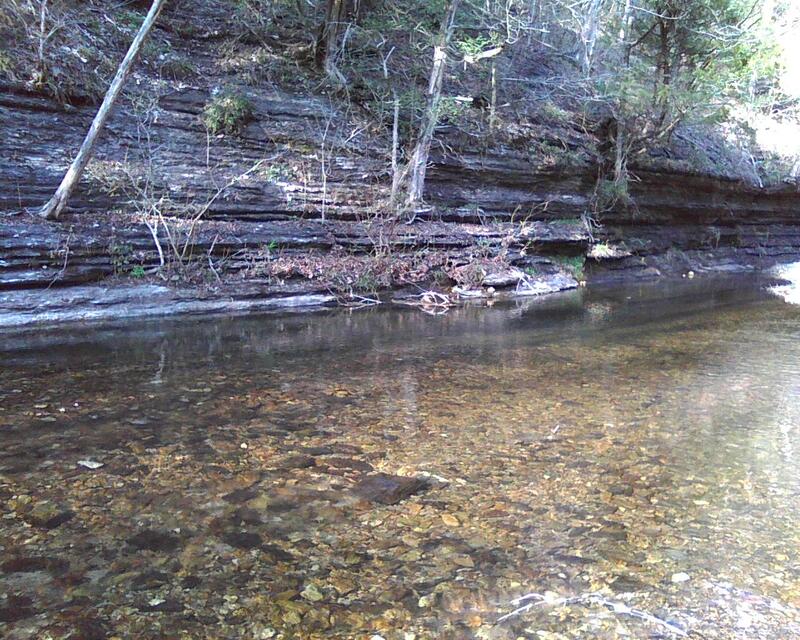 No wonder my dad loved to fish there when we lived in Halls, Tenn. in the late 1950s. Cypress trees dominate. Great herons and snowy egrets abound. (We call them “grosbecs,” big beaks, in Louisiana and I’m told they are quite tasty.) I even saw a pouldeu (but they called it a “cormorant” and totally blew my illusion of being in Louisiana.) And there are lots of fish, including sac a lait (they call them crappie), perch (bluegill) and bass (bass, hey we agree on something). 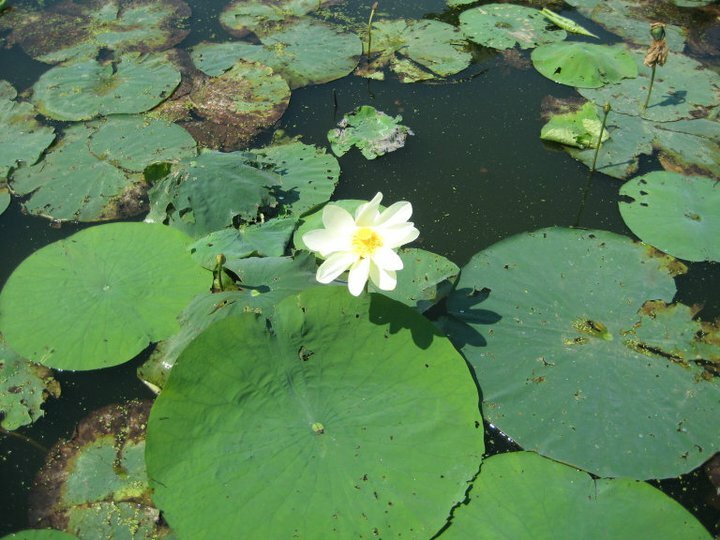 The lake was once a swamp next to the Mississippi River. 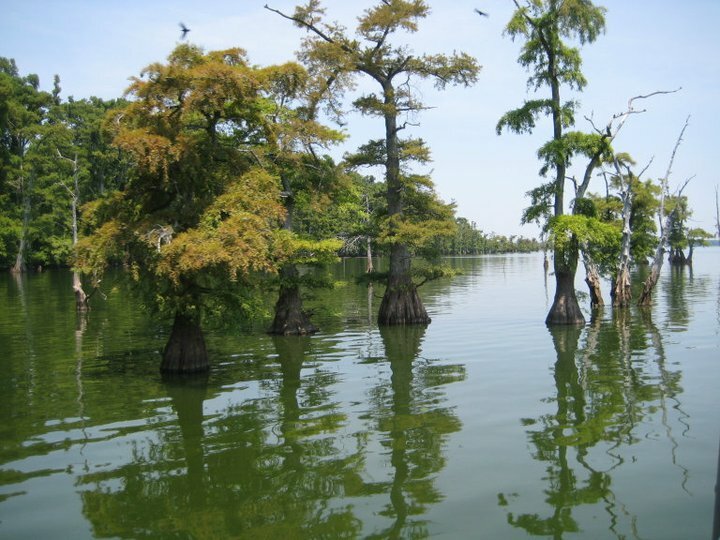 A series of earthquakes along the New Madrid Fault in 1811 and 1812 caused the swamp to sink and the creeks in the area quickly formed the lake. You’ll find websites with Indian lore about the name and the lake but they’re all full of bull. 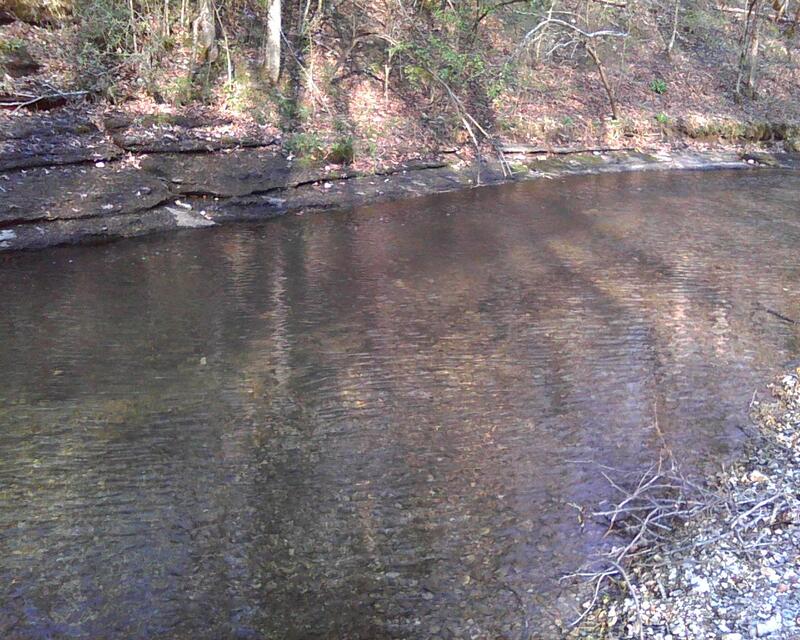 While Indians did hunt and fish in the area before the earthquake, so did Davy Crockett. 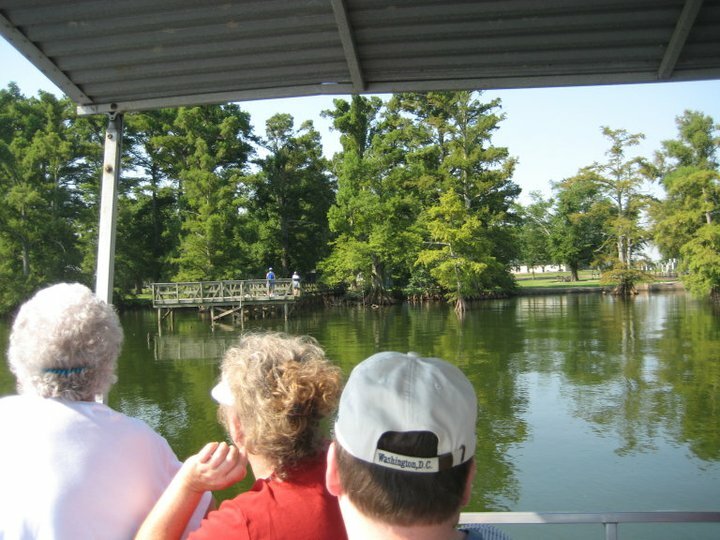 The Reelfoot Lake State Park Welcome Center has a really great 3-hour boat tour of the lake. It costs $9 per person and is worth every cent. The boat leaves daily at 9 a.m. They recommend that you make reservations the day before but I was able to get a spot walking up an hour before the boat left. If you go, bring a camera and binoculars, wear a hat, use sunscreen and carry a large bottle of water with you. Also, go before you go, if you know what I mean. The tour takes you around one of the islands and gives you an overview of the wildlife and plant life that are native to the area. The cypress trees in the water were there before the earthquakes, which is really cool. One fish species that isn’t native to the area is the asian carp and if you’re not careful, one could jump out of the water and smack you a good one. Probably the most impressive part of the trip was watching the birds. Aside from herons and egrets and cormorants, there were hawks, vultures, osprey and even a bald eagle. This trip was well worth the effort and I will return soon. 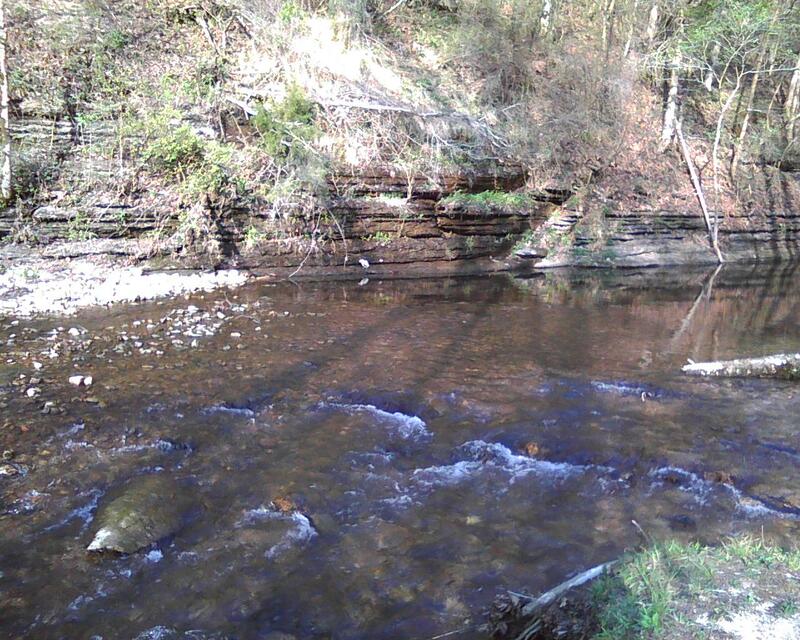 One way to keep a coonass happy outside of Louisiana is to show him some water. Not the bottled kind, but the free-flowing stuff where fish and other edible delights can be found. 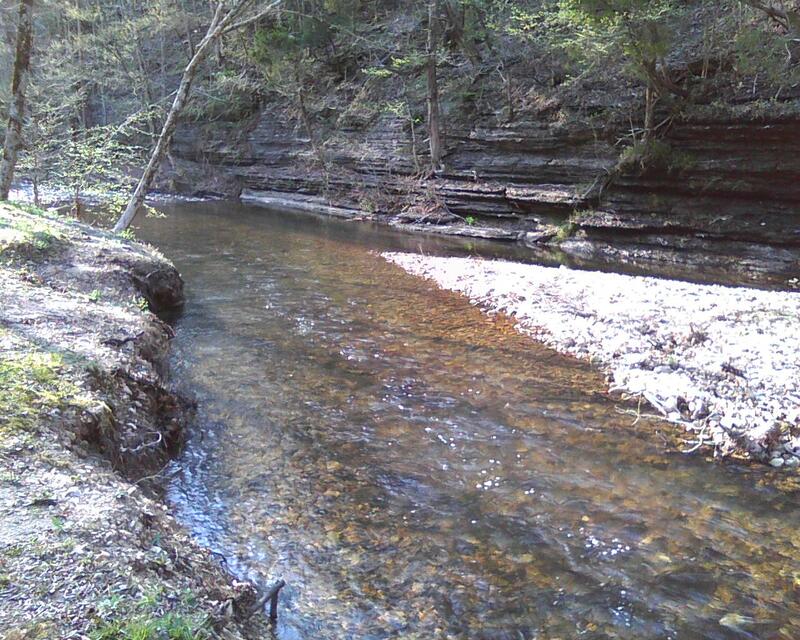 Here are some shots taken with my cell phone during a quick trip to the Meriwether Lewis National Monument on the Natchez Trace near Hohenwald, Tenn., on Saturday. 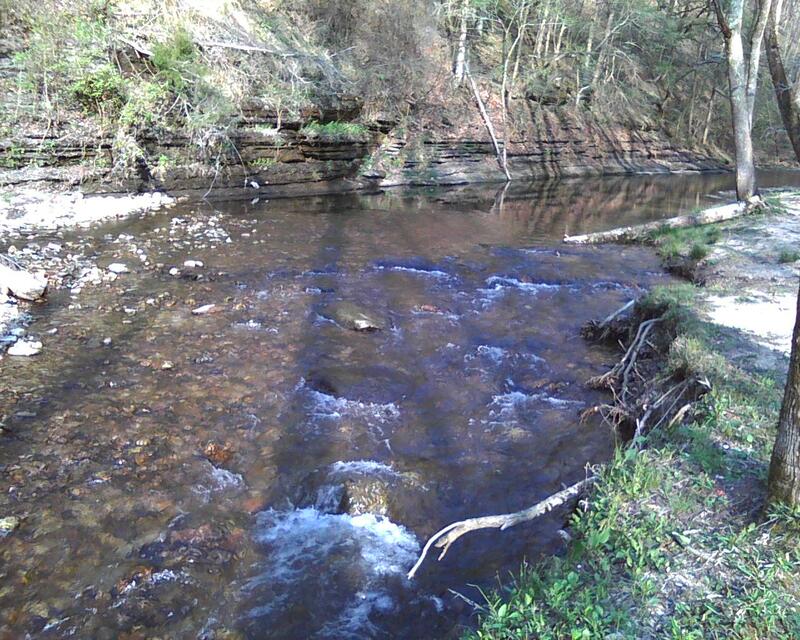 This is the Little Swan Creek at the Meriwether Lewis National Monument picnic area. 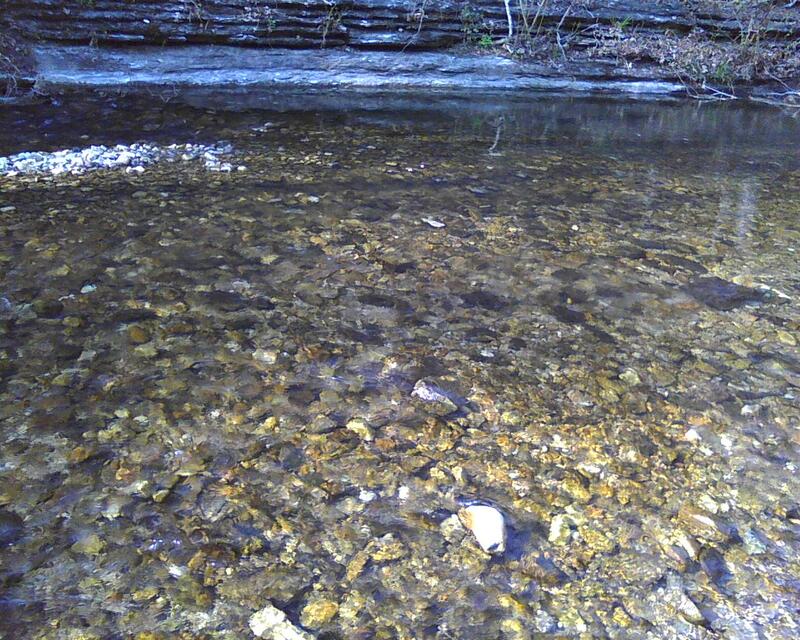 The water is crystal clear, which means the fish can see you as well as you can see them. The National Park Service guy who was emptying the garbage cans right before sunset said he’s never heard of people catching large fish here. “Mostly, it’s small fish or people just dipping a hook, killing time,” he said. That’s my kind of fishing. I’ll be back with my rod and reel soon.